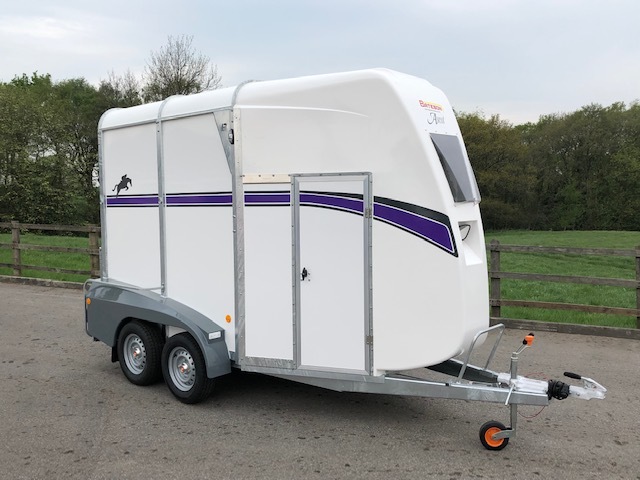 Our design experience utilising the latest durable materials has enabled us to produce a stylish range of horse trailers, which combine a low unladen weight, exceptional strength, good aerodynamics and stable towing characteristics. 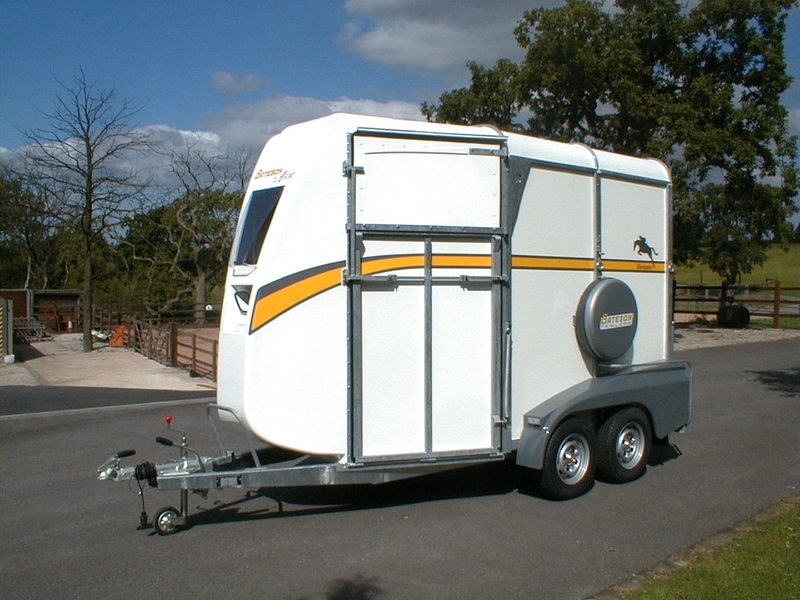 The chassis and frames are all hot dipped galvanised steel with a semi monocoque construction allowing a low floor height and a lower centre of gravity than our competitors also providing increased ground clearance, less unladen weight and an extra 3” headroom within the same overall height. 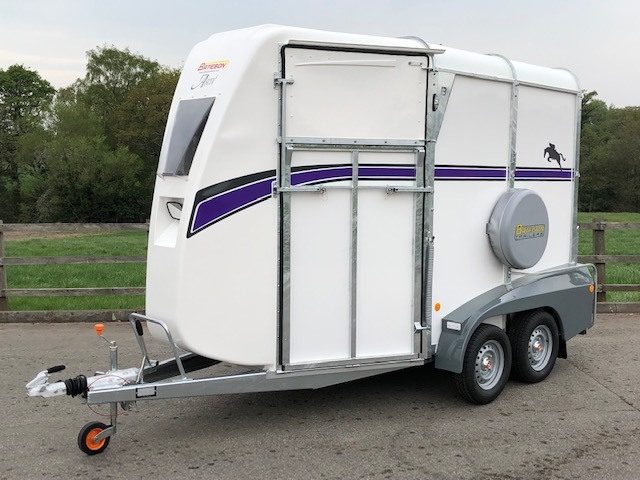 All trailers have Avonride softride fully independent rubber suspension with automatic reversing brakes and a hydraulically damped hitch with a power assisted handbrake, front telescopic jockey wheel, and a spare wheel. 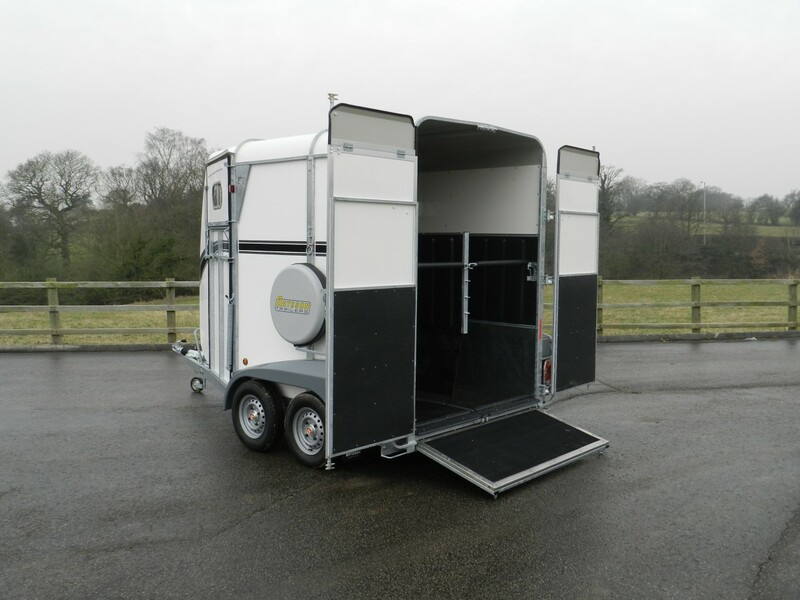 The sides are paneled with specially manufactured glass fibre/plywood laminated panels with galvanised steel kicking panels and vacuum formed flexible padding panels. 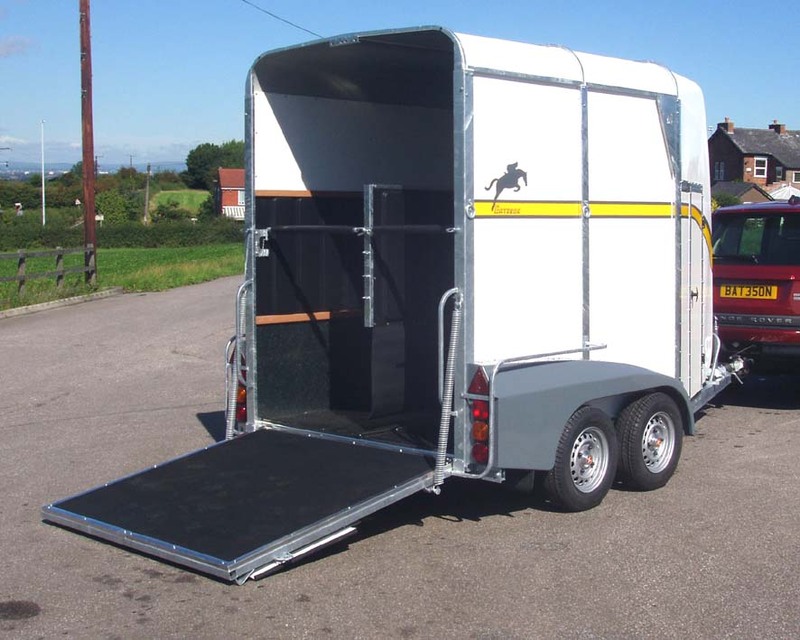 The floor is manufactured with a 22cm wide 2mm galvanised steel section down both sides where maximum strength and rot resistance is required. The centre section is a rot proof plastic floor panel that is strong, solid and silent and offers total security. A full aluminium plank floor is available as an option. The stalls have two 18mm removable rubber floor mats that lift out to allow the floor to dry during washing and for periodic inspection. The front floor section and ramps are bonded with reinforced non-slip rubber matting. The roof is heat reflecting white plastic coated galvanised steel with a moulded glass fibre front section and a large vacuum formed window incorporating a ventilator. 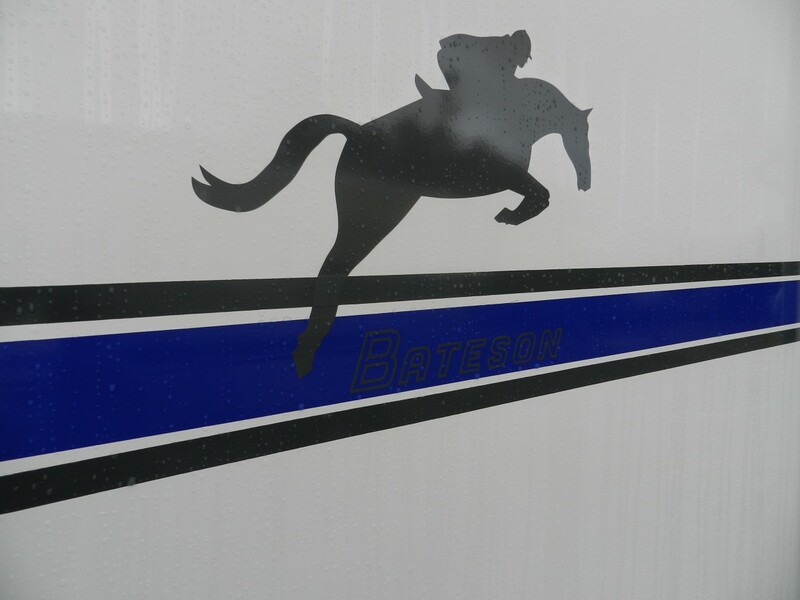 Ventilation is also provided in each side and over the rear doors. 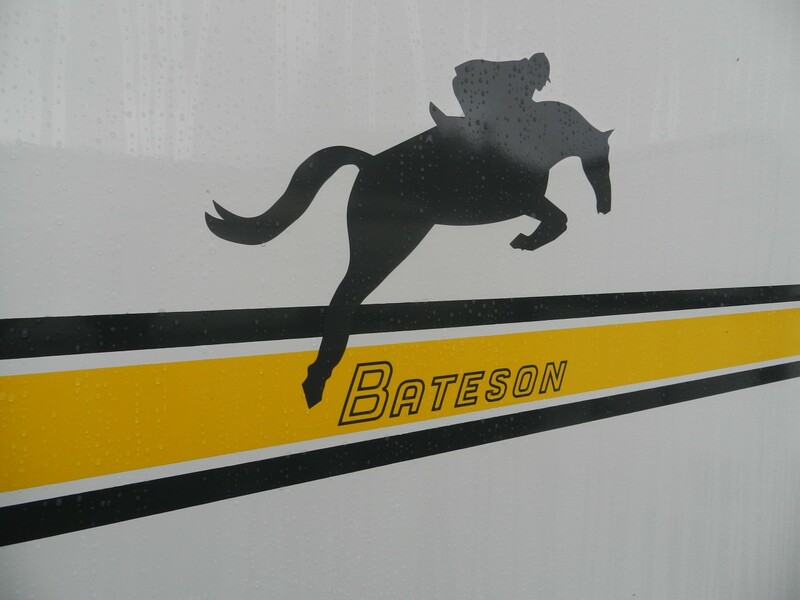 Divisions are galvanised steel with flexible padding panels and reinforced rubber kicking skirts. They are hinged on a central post on all front unload models. 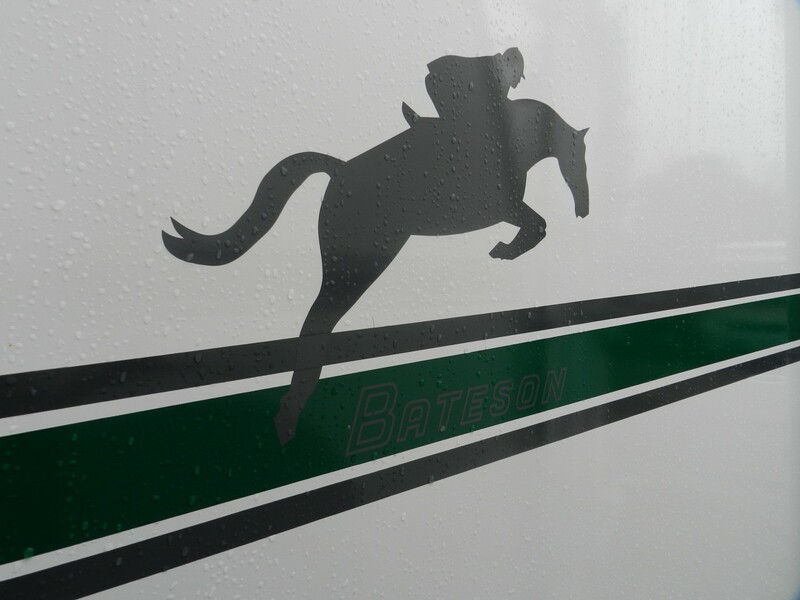 The front and rear bars are fully padded and adjustable for height and remain attached to the division, out of the way of the horses during loading and unloading. 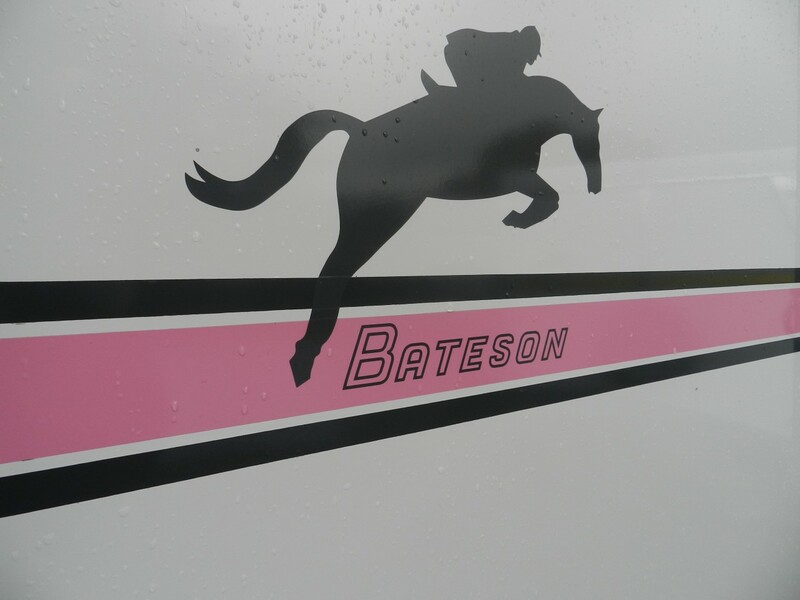 All trailers have a high standard specification and are fully equipped with a unique coupling mirror, which allows the trailer hitch to be seen by the driver during coupling eliminating miss alignment, and damaged bumpers. 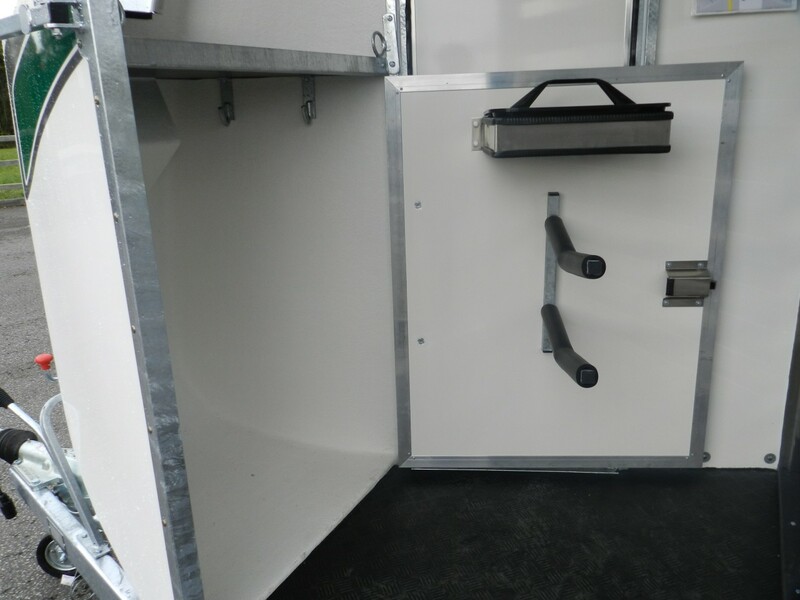 Interior lamp, hitch lock, internal and external tying rings and spare wheel are all standard. 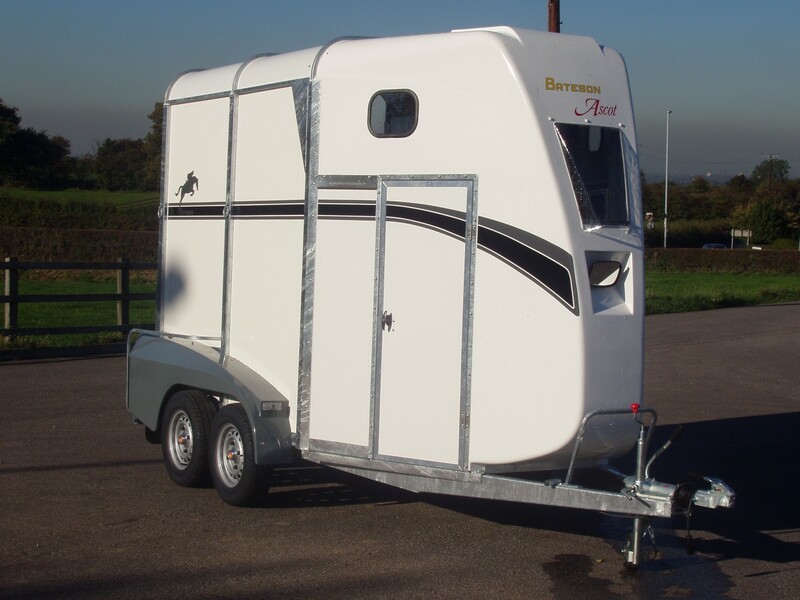 A saddle rack and cover is fitted to Deauville models and a lockable tack cupboard in Ascot models. 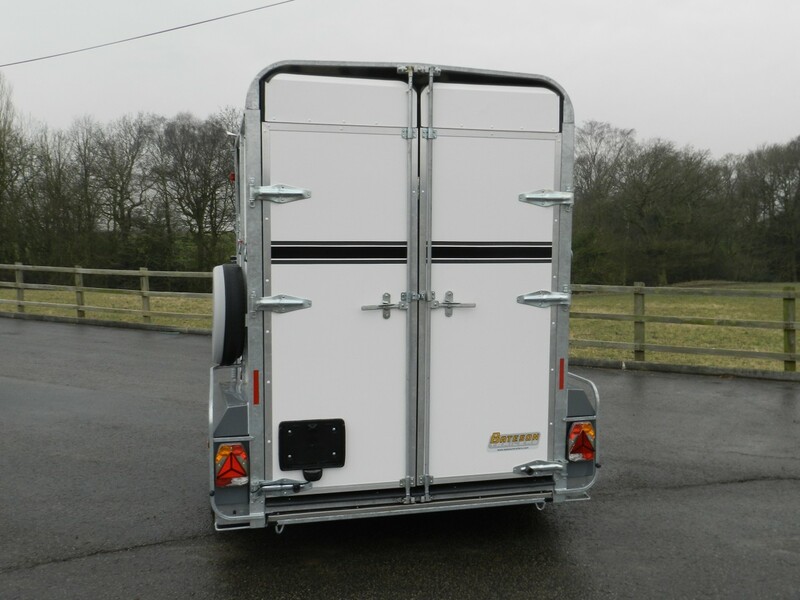 American style rear doors with a pull out ramp are available on front unload models as an option. 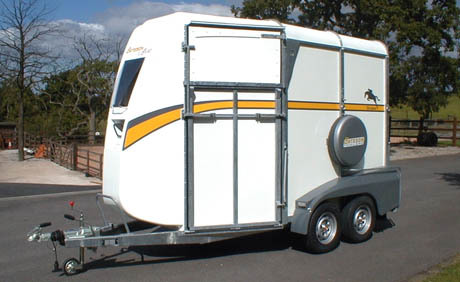 These are very common in Europe and becoming more popular in the UK, being easier to load and making the trailer more versatile. 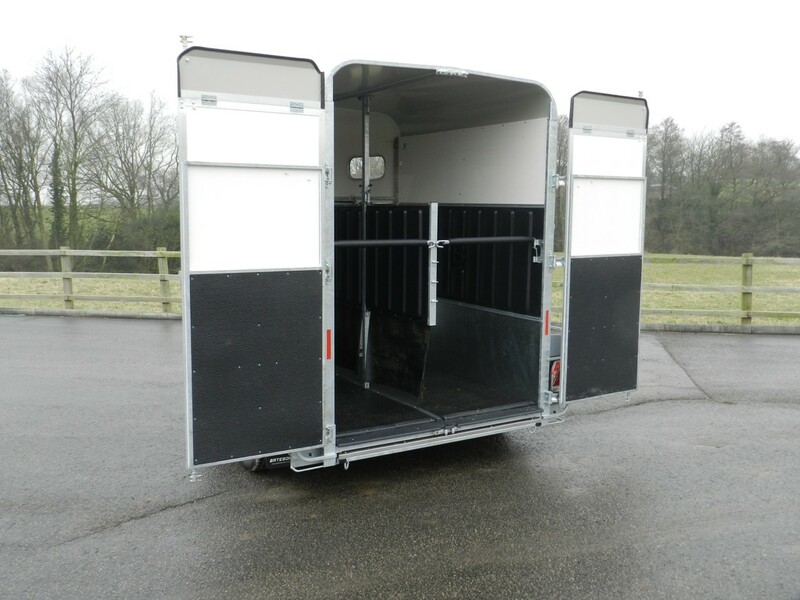 A removable aluminium bulkhead gate and ramp side gates can also be offered to allow the transportation of sheep and other small livestock. 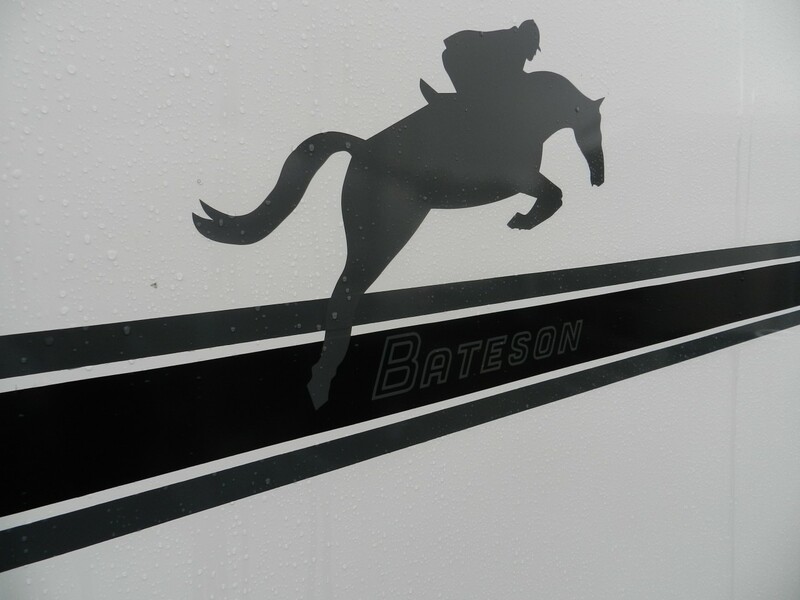 Fully complying with the transportation of animals act and increasing the trailers versatility.